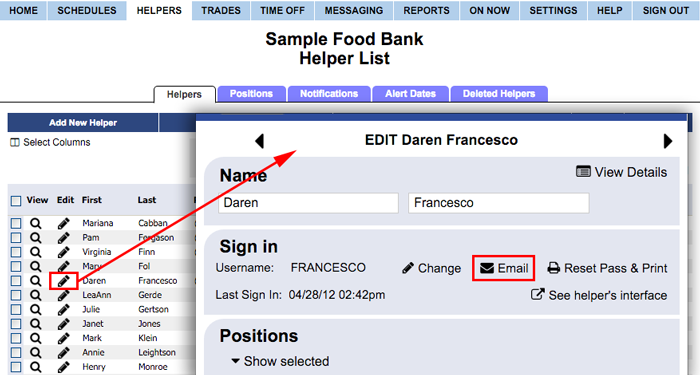 When you add a helper at WhenToHelp, they are automatically assigned a temporary username and password. The HELPER list page has a link to "Email Sign In Instructions" to all helpers who have emails entered and have not yet signed in. You also can email or print instructions for an individual helpers from their "Edit Helper" page. 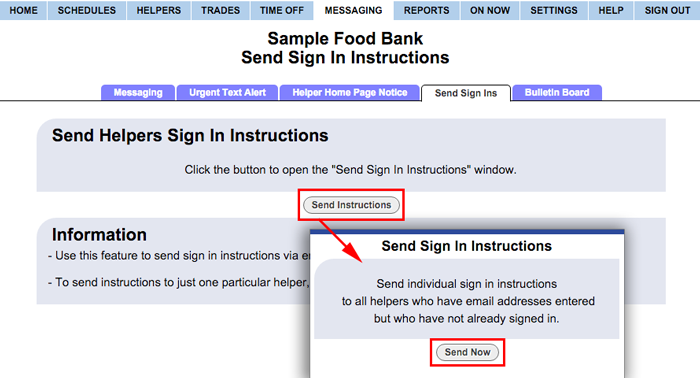 These instructions tell them to go to http://WhenToHelp.com, click Sign In, and enter their own temporary username and password. A welcome wizard then steps them through a few questions to create a new username and password and guides them into using the system. Helpers also can retrieve their sign in instructions by clicking the "Need your Username and/or Password?" link on the sign in page (https://whentohelp.com/logins.htm) and entering their email address. Their sign in information is then automatically emailed to them.